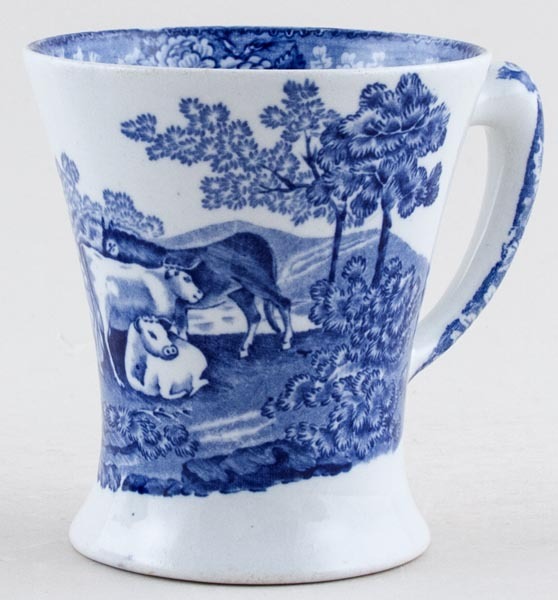 Lovely Titian shape mug with wonderful floral border around the inside rim and along the line of the handle and rural scene of cattle, sheep and horse around the body. Backstamp: Adams Est 1637 Cattle Scenery England. There is a little minor discolouration with a couple of areas where the glaze is thin and rough to the touch and inside a little excess ink.